As a flight instructor, I always advise my students to avoid the cumulonimbus cloud, which is associated with thunderstorms that create unpredictable conditions and make flying difficult and dangerous. Throughout a 100 years of aviation history, flying in or near this type of weather often makes headlines in the news; with some instances worse than others. When discussing cloud strategies with Veeam customers, from migration to data backup to the cloud, I am reminded of the unpredictable weather conditions associated with flying in the clouds, especially when a customer raises a concern about the cost of cloud computing. I’d like to share a story here from one of our Veeam customers who managed to reduce his cloud costs using Veeam Management Pack (MP) for System Center. The story started several years ago when a financial organization decided to adopt a strategy to migrate to, and run their workload in the cloud. The company used one of the largest cloud management service-provider hosting organizations. The cloud management service first ran an inventory of the customer’s workload. The tiered offering from the management service was then created based on the cloud manager and service provider’s expected local workload size. This process included manually examining each physical server before a recommendation was made to take up the top tier offering from the managed cloud service. As with many offerings of this type, the top tier is always expensive. For several years, the customer was satisfied with the offering. Then, a new CEO came onboard and requested a review of several services the organization was buying. Included in the review was the company’s cloud strategy. Veeam met with the customer, and after gaining an understanding of his business, suggested using Veeam Management Pack to generate some reports to learn how the business used its workload, and to determine the computer effort for CPU, memory and storage consumed. 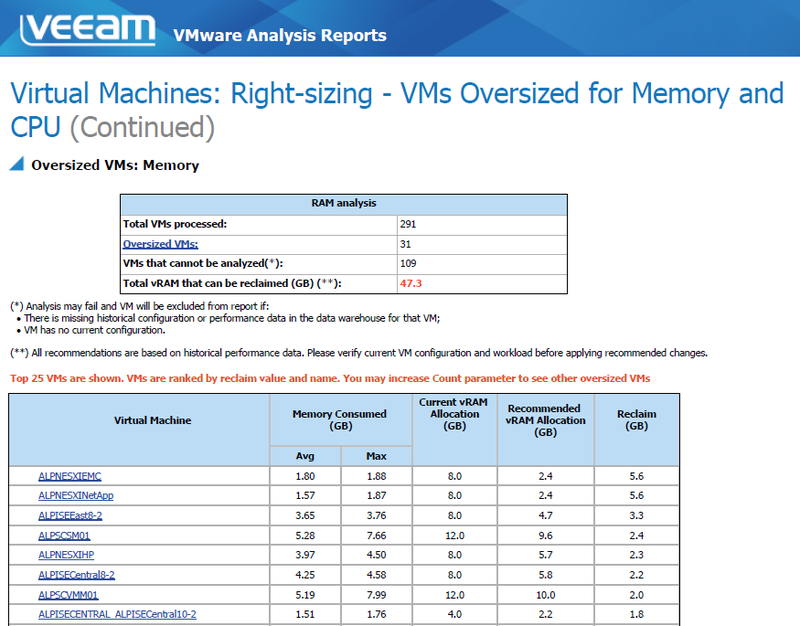 The first report Veeam generated was oversized VMs for memory and CPU. From the report, we found that many of the workload computations were oversized, and the memory and CPU consumption was as high as predicted at the inventory stage. This finding led to the fine-tuning of the CPU and memory sizes for the workloads, which immediately resulted in a tier level reduction for the service offering. This has now been downgraded to a lower tiering by two to four stages, with a reduction in the monthly cost. A typical report to determine memory and CPU sizing is shown in Figure 1. 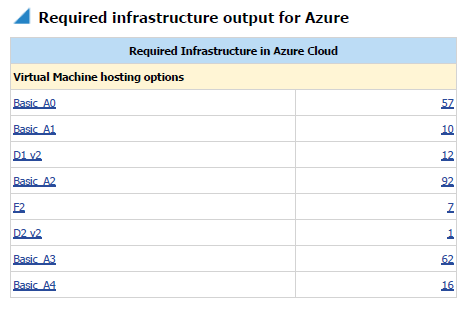 After the first stage of the review, the customer asked for assistance estimating the cost of migrating a remaining on-premises workload to Microsoft Azure. And this time, Veeam was equipped and ready with same powerful reporting tools in the Veeam MP. 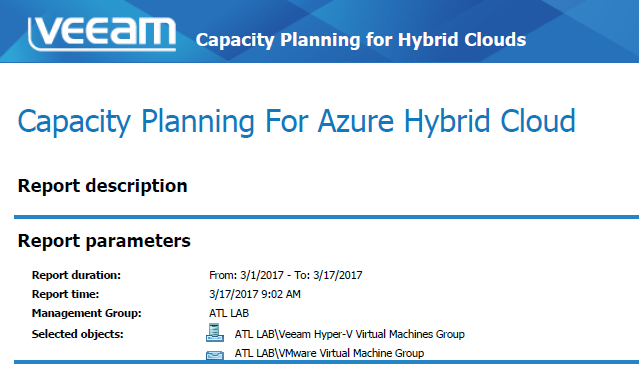 In just a few clicks and several minutes, Veeam generated a detailed report to help the customer understand and predict the Azure workload size that was needed, as well as how much it would cost if he decided to migrate. Veeam’s engagement with the customer, which included delivering the required reports, took less than three days. The financial savings offered by Veeam ended up being the best outcome, by far. The customer was extremely satisfied. The key takeaway for this story is that all findings were gathered during a proof of concept, and at NO cost to the customer. This story brings me back to the pre-flight planning analogy that I mentioned at the start of this post. Just like planning in your data center, pre-flight planning in the world of aviation is always more valuable when it’s done BEFORE a plane takes off!